The purpose of Russia's actions in the Sea of Azov is to put political pressure and inflict economic damage on Ukraine, Estonian Foreign Minister Sven Mikser said, according to his ministry's statement obtained by Interfax on Saturday. "Russia's aim [in the Sea of Azov] is to exert political pressure on Ukraine and cause it economic damage. Furthermore, the situation is also affecting European Union states or those moving under the EU's national flags. Russia also introduced its military ships in the Sea of Azov, creating an even bigger security threat to Ukraine," Mikser said at a meeting with Ukrainian Foreign Minister Pavlo Klimkin. 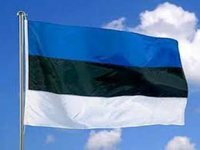 The world should pay more attention to the situation and Estonia urges Russia to stop its activities aimed "at looking for trouble and to respect international law," Mikser said. "We support the additional EU sanctions against the organizers and winners of the illegal elections held on November 11 [in the self-proclaimed Donbas republics]." The Estonian minister urged Ukraine to pay more attention to cybersecurity in advance of upcoming elections.